Do you have any troubles in meeting the delivery date? Failed your client again in delivering the products on time? 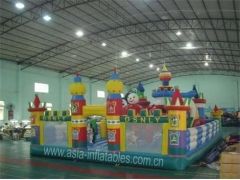 ASIA Inflatables is taking your difficulties into consideration! Here you could find our assortment of in stock products for immediate shipment! A lot of Hot and Popular Inflatable Games are in stock for you to choose from. Mini Type Inflatable Bounce House Curved Slide Combo, Kids Inflatable Combo, Small Inflatable Combo. Mini Bouncer Product Line is one of our best looking bounce houses. This happens to be our newest and may be our funnest! Come and buy. Circus Fun Inflatable Clown Jumper, Kids Inflatable Jumper, Small Inflatable Jumper. Mini Bouncer Product Line is one of our best looking bounce houses. This happens to be our newest and may be our funnest! Come and buy. Commercial Inflatable Jumper, Kids Inflatable Jumper, Small Inflatable Jumper. Mini Bouncer Product Line is one of our best looking bounce houses. This happens to be our newest and may be our funnest! Come and buy. 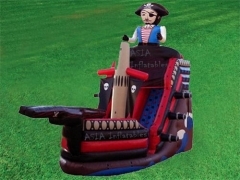 Lil Pirates,The Pirate Captain and His Inflatable Pirate Slide,Inflatable Priate Boat,Inflatable Pirate Ship. This kind of Pirate Inflatables are our best looking bounce house slide combo moonwalk. This happens to be our newest and may be our funnest! Lil Pirates,The Pirate Captain and His Inflatable Pirate Combo,Inflatable Priate Boat,Inflatable Pirate Ship. 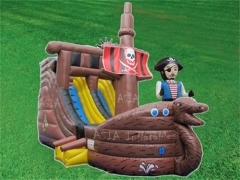 This kind of Pirate Inflatables are our best looking bounce house slide combo moonwalk. This happens to be our newest and may be our funnest! Come Into the Swamp,Cross the Swamp,Moonwalk Castle Combo,Theme Rentals Inflatables. Kids like best. Vivid color, reasonable design, suitable character size and best handwork. Inflatable Stage and Gateway available to product promotion, holiday celebrations, conference, evening party, dancing party etc. Easy to install, inflate and deflate. Find the complete details about Inflatable Stage and Gateway, please giive us a call or contact us by email. The Inflatable Gladiator Duel is suit for all ages of childrens. Easy to install, inflate and deflate. Find the complete details about Inflatable Gladiator Duel, please giive us a call or contact us by email. Inflatable Jungle Slide, Great for Teenagers! Inflatable Jungle Slide, High Inflatable Slide. Easy to install, inflate and deflate. Find the complete details about Inflatable Jungle Slide, please giive us a call or contact us by email. Giant Inflatable Minions Slide, Great for Teenagers! Inflatable Inflatable Minions Slide,High Inflatable Minions Slide. Easy to install, inflate and deflate. Find the complete details about Inflatable Minions Slide, please giive us a call or contact us by email. Giant Inflatable Slide, Great for Teenagers! Inflatable Climbing Slide,High Inflatable Slide. Easy to install, inflate and deflate. 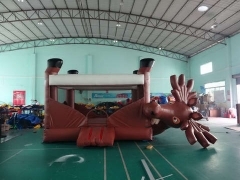 Find the complete details about Inflatable slide, please giive us a call or contact us by email. Giant Inflatable Shark Slide,High Inflatable Slide,Theme Rentals Slide Inflatables. Easy to install, inflate and deflate. Find the complete details about Inflatable slide, please giive us a call or contact us by email. Giant Tropical Falls Water Slide,Splash Down Dual Lane Slip N Slide. Easy to install, inflate and deflate. Find the complete details about Inflatable water slide, please giive us a call or contact us by email. Disney Princess Moonwalk. Disney Princess Castle Combo,,Disneyland Theme Rentals Inflatables. Easy to install, inflate and deflate. Find the complete details about Inflatable fun city, please giive us a call or contact us by email.